Parallax scrolling and the tips on how to use it. From video game classic to modern web design craze, parallax technique is currently the fastest growing trend in the digital world. First used in 1980s in arcade video games to simulate 3D effect, it is now being incorporated into web pages to give them depth and layering. Parallax scrolling is getting more and more popular due to its multipurposeness. Having difficulty in engaging viewers in your iconographics? Your product presentation just doesn’t stand out from the pack? Make it interactive with parallax scrolling. It is being used across different fields, from movie promotions, through apps, and finally to portfolios. If done well, website using parallax scrolling can get popular within days, thanks to social media spread and mouth-to-mouth recommendations. Parallax technique so eagerly used by web designers is fairly simple, but one must be aware of several rules to make it really shine. The most important thing to have in mind is to focus on depth and layering of images. It is the main principle of parallax scrolling and should be used with consideration. In order to succeed, you need to focus on several different elements which will appear both in the foreground and in the background of your page. Carefully think what images will best represent the content of your website and focus on adjusting their duration and colour. Make them fade out at right moment. Timing is the key to success. Have fun and don’t be afraid to experiment. You might not hit the spot at first try, but don’t give up. Play with parallax scrolling as you wish your users will. Professionals recommend to make your website tell a story. You have invented something? Show how it has been done step by step. Do incorporate historical timeline of your product. It will help you get connected with users and build the sense of community. Feel free to use animation and sounds, or engage the users in theme game. Make every visitor curious what happens next. Your creativity is your limit. But be careful. Hooked on modern techniques, you may easily overlook the simple fact that some users will try to open your page in older browsers. You shouldn’t strip them of the opportunity to have fun at your page. Make sure your modern website is compatible with not only up-to-date Mozilla, but also Internet Explorer and others, not so commonly used browsers. Your users will much appreciate it. At this point, it is also useful to test you website on portable devices, like tablets and smartphones. With the spread of technology and wider availability of modern electronics it is the thing to consider. Once you’ve possessed the skills needed to make parallax scrolling work, you will be eager to show everyone what you can do with it. Don’t, it’s a trap. Users won’t appreciate flashy images popping out from every corner. However tempting it may be to use new techniques on your website, do remember that, as everything, parallax scrolling needs to serve some purpose. Don’t use it just because it is fashionable. Use it to create greater user experience or to show your products, not to simply show off your skills. Above all, your website must me readable, so don’t overdo it. Last, but not least, make your page responsive and fun. Add sound to optimize user experience. Do remember that details matter, so don’t forget the little things. They make the website stand out from the crowd and create memorable web experience. Parallax scrolling is fairly friendly technique to incorporate, but you need to consider its limitations as well. It takes time to prepare perfect page. First, you need to make sure that the basic version of your website is up and running in all kinds of browsers. Only then you can implement parallax scrolling. Also you need to be aware that pages using the techniques described tend to load longer. In order not to discourage your viewers, you can introduce a simple animation, or creative loading sign to entertain them. Sounds difficult? Don’t be cross, just turn to specially designed web tools like Skrollr or ScrollMagic to help you achieve your goal and give your website the wow factor it deserves. Author Bio: Monique Rivers is an Australian tech blogger who also loves good food and fashion. She works at ninefold.com. Ninefold is a powerful Ruby on Rails platform, that allows you to deploy Rails apps quickly and easily. Whether you are a small or large business, you are probably looking to attract new customers and clients. Fortunately, the internet has made it easier than ever to successfully build and maintain a strong online presence. New tips and tricks are being discovered all of the time, so it is important to keep up with the latest trends. From corresponding directly with customers, to creating your own company blog, here are some useful tips on how to successfully build an online identity. If you are a small business that is just trying to get started, building a website is one of the most crucial components to your success. To make it easier for customers to find you, be sure to include your company’s name in your website’s domain name. This will also allow people to find your company quickly when they perform a web search. Spruce up the content so that it is fresh and lively, which will ultimately draw readers in. If you are selling products, add in a shopping element, and be sure that it works! For a company that sells products, it is crucial to give customers a way to buy directly from your website, at all times. If you want to form a personal connection with your audience, reach out to them in a way that is friendly and accessible. For example, you can ask visitors to share their thoughts and feelings through feedback or comments. When you ask for comments, feedback, or opinions, the visitors will feel as though you truly care about their specific needs and concerns. Be sure to personally respond to every comment you receive though. It’s not fun talking to a wall. If you receive negative feedback or comments, this is a good time to decide if you need to make some changes to better serve your customers. For many modern companies, search engine optimization (SEO) is a fast-growing trend that can produce tremendous results. SEO is used for displaying companies as close to the top as possible when someone performs a search through a search engine, such as Google or Yahoo. The higher up your name appears, the more likely it is that someone will click on your company’s link first. This can lead to increased sales, as well as increased retention of customers for many businesses. Blogs are a great way to stay in touch with your customers, while providing them with the latest information about your company. It’s also an excellent way to show your skills and knowledge. With a blog, you do not have to worry about being limited to just one or two sentences, and you can often include photos, or even videos to enhance your online identity. Caveat: If you plan on blogging, see it through. There may be nothing worse than having a blog and it not having any fresh content. We are not suggesting you give your services away for free, however there is something to be said about an expert who is willing to help others. A great way to do that is through forums and message boards. Think about Yahoo! Answers or Google Groups. LinkedIn is another great place. You no only increase your visbility, but you also position yourself as an expert in your field. There are many ways to effectively build and expand your online presence. Whether it is through direct interaction with customers, or a results-driven website, you can easily build your client base and reputation with a solid online identity. Modern society moves at a fast pace, and many business owners work hard to keep up. Although it may get overlooked, your website may be the difference between securing a client or customer, or unknowingly turning him away. When it pertains to business, a clean and updated website is more valuable than one that is dated and old. Before you begin to overhaul your website, take a few minutes to understand the perils of a dated website and how a new one can be beneficial. If your website is looking old and dated, it is probably time for a change – and fast. Your main issue may be that you do not have an easy way to update your website content, or adding new information might seem too time-consuming. Fortunately, there are ways to get around these common problems while creating a modern and fresh website in the process. The first step is to figure out what your website needs in order to become a noteworthy part of your business once again. You may need to reach out to friends, family members, and loyal customers to get valuable input on how to improve your website. Replace dated content – any content that is out-of-date should be replaced with new and relevant copy. A good idea is to start looking at your news or calendar of events pages – if you have those. Add in something new for your customers. Test your links – broken website links, even if it is just one or two, can signal to visitors that you do not have time, or do not wish to make an effort to keep your website in good working order. To resolve this problem, click through your links to make sure that they are all working. If you have media, such as videos or photos, now is the time to make sure that these items work as well. Update your “about ” page – as time continues, so does your personal and professional life. Take a few minutes to look at your profile or “about” page, which may very well need updating. Customers and potential clients should have an updated resource where they can find out more information about you or your business. Sometimes there’s too many obstacles in your way or your old website was built so that it wasn’t easy for you to update content. That’s when it’s time to seek a professional web design and development company. You might not even need a complete redesign. A good web design company will talk to you about the goals for your site and help you to determine the next best steps. That might include keeping the design, but implementing a Content Management System so you can keep on top of your content and updates. Or re-aligning your existing site so that you are putting your best foot forward by fine-tuning what you have so you can reach the best possible outcome. 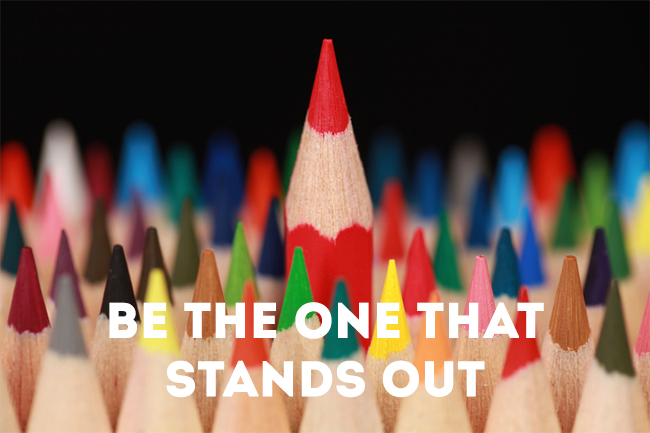 There’s no one size fits all, which is a good thing because you’re business is as unique as you are. With so many websites and companies selling similar products or services, one company’s weakness can be another one’s gain. This is especially true for websites, which are often the first line of introduction a potential customer or client has to a business. Websites that are user-friendly, along with fresh and updated content are likely to draw in a higher number of customers, in comparison to a website that is not user friendly, or a site that appears to be outdated. Creating a user-friendly layout is quite simple, and can be just what your business needs for future success. So why is a user-friendly website so important? A user-friendly website is an essential part of any successful business. For a large number of visitors, a company’s website is what can make or break its image. A website can be thought of as the first step in making a statement to the online world. You only get a few seconds to make that impression, so make it the best. Just as you would not want to make a bad first impression in-person, a website that is not user friendly can be just as harmful. There are a number of steps you can take to determine whether your website is user-friendly, and how to make the necessary corrections if you think that your website is lagging behind. Use a clean layout – a clean layout is an essential part of any website. If you are not sure whether your website has a clean layout, take a close look at the content, as well as the links and navigation. A website that is jumbled with links or text can be confusing and off-putting to potential customers. With too many words or links cluttering the page, the reader may get discouraged and ultimately leave the website for a more user-friendly site. Make sure that your navigation is clean and concise, and that visitors can easily find the information they are likely looking for. Make content easily accessible – keep in mind that many people do not have time to sit down and read all of the information on your website. For this reason, it is crucial to keep paragraphs, and text in general, to a minimum. Instead of writing in paragraphs, try adding in a few sentences at a time. You can make the page more exciting and break up any wordy areas by including pictures or links. Ensure that your site is mobile-friendly – many consumers have access to the internet – and your website – through a mobile device. 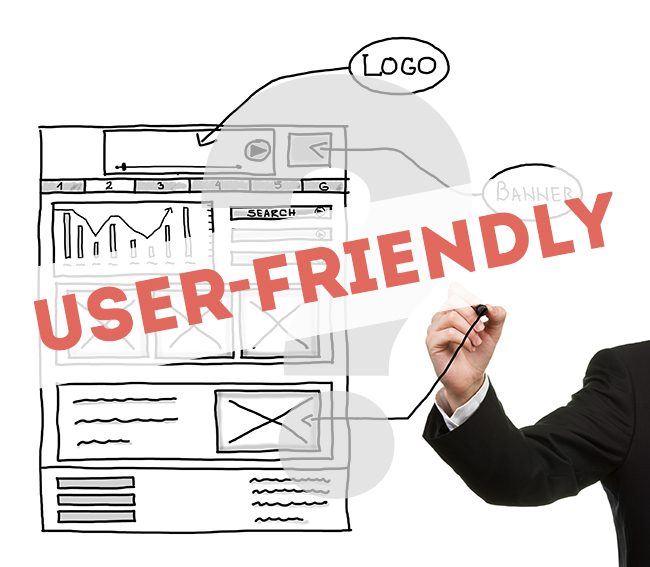 Keep this in mind when you are determining how you can make your website more user-friendly. Consumers on the go will appreciate having access to your website at all times, which can help to enhance your business. Make the website visually appealing – the more attractive your website, the more likely it is to lure in customers. Although dedicated customers may put up with an unattractive website, potential customers will likely go elsewhere to do business. You can avoid this problem by incorporating a simple, yet stylish layout, with a soothing color scheme. Avoid crowding the site with graphics or using distracting images and animations. Clear and distinct calls-to-action. You do not want people hunting to find your contact information or details about the services you provide. Make your calls-to-action prominent and distinct from everything else on your page. You want them to be the most important aspect of the page so users don’t have to guess about what to do next. When a user has to guess, they’ll likely end up leaving your site. These are some very basic prinicples and a great first step in creating a site that will deliver results. If your website is not user-friendly, you may be losing clients and forcing potential customers to go elsewhere, which is the exact opposite of what you want to do. Of course, if you need help, we’re here for you.